Looking for "Tall Tall Tall Cars" and only finding reviews from sites who say 6'1 is tall? Here is a listing of tall cars from various members of The Tall Street Journal and the tall cars they have found give them plenty of head and leg room to drive safely and comfortably. Most of these comments are culled from the discussion Cars For Tall People, so feel free to contribute there or join this Tall Cars group and share your knowledge of the best cars for tall people. Cheyenne (6'11" / 211cm) This vehicle has good leg and head room, even with a sunroof. It has even more room than the similar Ford Excursion, probably because the seat it self has more adjustments to sit lower. Cheyenne (6'11" / 211cm) I sat in the Ford Flex the other day, and it was pretty spacious. I think the Flex comes in a hybrid, not 100% sure though. Also, I think its fairly new so you aren't going to find too many used on the market. Cheyenne (6'11" / 211cm) Surprisingly roomy, even if I'd feel silly spider-legging my way out of the Mini Cooper. 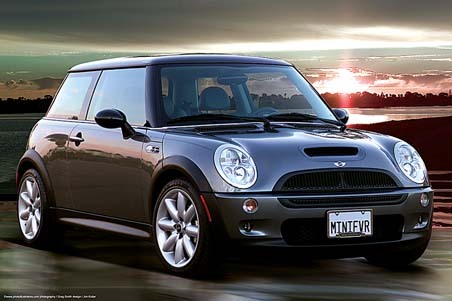 The only real issue I had with the Mini Cooper was a little bar that pushed against my leg when driving. Sack (6'8" / 203cm) My little box car that rocks far . Daniel M (6'7" / 201cm) Plenty of headroom in the front, very specious in the rear. A sure winner in case of a fender bender. But will not fit in a "standard car size" parking space. Lorne Herrema (6'6" / 198cm) Currently have a GMC Sierra 1500 regular cab and my knee is in pain. Took a toyota tundra extended cab and i have to say it was the fist time i have ever been comfortable driving. Brian Stillings (6'5" / 196cm) I had a VW Jetta, I'm 6'5'' believe it or not, I had to scoot the seat FORWARD!?!? Chris (6'3" / 190cm) I have a ton of room actually. It's quite nice knowing I have extra room as well. Cheyenne (6'11" / 211cm) I know its tall to look at, but has anyone out there actually driven it to see if it actually fits a taller person. I guess some people can even stand in the back. Let me know if you know anything about this vehicle and potential tallness factor. Started by Adam Humphreys. Last reply by Chris Williams Jan 20, 2012. Started by Cheyenne Throckmorton. Last reply by Corey Aug 17, 2011. Started by Cheyenne Throckmorton. Last reply by Robert S. Henderson Aug 4, 2010. 2002 PT Cruiser - 6'7" approved. Started by David Wing May 30, 2010. Started by R. Winberg Dec 21, 2009.